Once a yeast dough product is removed from the oven, it must be cooled and stored properly to maintain the highest possible quality. • Remove yeast products from their pans immediately. j Place them on cooling racks or screens at room temperature. One exception is rolls baked on sheets. These may be left on the sheets to cool, if they are well spaced. • Cool yeast products completely before slicing or wrapping. In some cases, you will brush melted butter or shortening or a glaze onto a hot yeast dough product immediately after removing it from the oven. 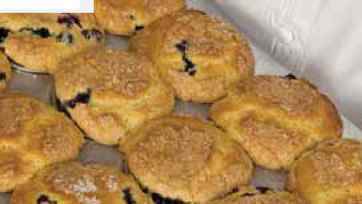 Sweet dough products such as coffee cake and Danish pastry may be glazed with a mixture of water and sugar or corn syrup while they are still warm. Yeast dough products begin the process of staling as soon as they are baked. Staling causes yeast dough products to lose their freshness. During staling, the crust becomes moist and tough, while the interior crumb of the bread becomes dry and crumbly. Staling also causes breads to lose flavor. Altitude The moisture in dough evaporates more slowly at higher altitudes, such as those found in mountainous areas. Oven temperatures may need to be increased slightly in high altitudes to prevent the dough from expanding too much and breaking down the cell structure in the bread. Common Problems There are many problems that can go wrong when baking yeast bread. How do you know if a loaf of yeast bread is baked properly? • Additions to Dough Depending on the formula, ingredients such as malt syrup may be added to the dough at the mixing process to help slow staling. 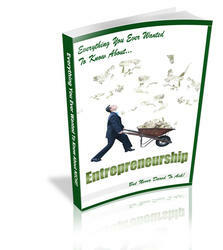 • Adequate Proofing Underproofed items stale more quickly than those that have received proper proofing. • Avoid Refrigeration Refrigeration speeds up the staling process of yeast breads. Do not wrap products while they are still warm. Most breads should not be kept for more than one day in a foodservice operation. If you will be keeping them longer than one day, wrap them tightly in moisture-proof wrapping and store them in a freezer to prevent staling. Items with thin crusts, such as French bread, should be wrapped in paper when they are stored. If thin-crust products are wrapped in plastic, they will become soggy. I Explain How do you prevent staling in yeast doughs? 1. Describe the straight-dough mixing method. 2. Outline the stages in mixing and kneading yeast dough. 3. List the factors that determine oven temperature and baking time. 4. Illustrate how to properly pack a yeast bread. 5. Ryan has just finished baking two baguettes. One of them is 55 centimeters long; the other is 61 centimeters in length. What is the length of each baguette in millimeters? In meters? In kilometers? The metric system of measurement is based on powers of 10. One millimeter is 1/1000 of a meter, or 0.001 meters. One centimeter is 1/100 of a meter, or 0.01 meter. One kilometer is 1,000 meters. Starting Hint One millimeter is 1/10 smaller than one centimeter, so multiply centimeters by 10 to find millimeters. Divide centimeters by 100 to find meters. Divide that meter amount by 1,000 to find kilometers. NCTM Measurement Understand measurable attributes of objects and the units, systems, and processes of measurement. J Check your answers at this book's Online * Learning Centeratglencoe.com. Yeast breads are made from dough, a mixture of flour, water, salt, yeast and other ingredients. Yeast dough products are classified according to the type of dough used to produce them. Regular yeast dough is first kneaded thoroughly, by machine or by hand, and then fermented. Lack of interaction between ingredients can cause failure. 1. Use each of these vocabulary words in a sentence. 2. List yeast dough ingredients and their functions. 3. Distinguish between the three different types of yeast doughs. 4. Summarize the characteristics and uses of rolled-in fat yeast doughs. 5. Describe the mixing methods for yeast doughs. 6. Outline the stages in properly preparing yeast doughs. 7. Demonstrate the baking of quality yeast breads. 8. Illustrate how to cool and store yeast breads. 9. Imagine you have a customer who is following a low-fat diet. Which would you recommend: Italian bread, Parkerhouse rolls, or croissants? Why? 10. Examine seasonings. You have a basic formula for white yeast bread. What could you do to make the final product more flavorful? 11. Bread in Many Languages Find the names of different types of yeast breads from around the world. What are the names of the different bread products and what do they mean in the language of origin? Write a list of the names, their countries of origin, and their meanings in their native languages. Compare lists as a class. NCTE 9 Develop an understanding diversity in language use across cultures. 12. Breads Around the World Study yeast breads from various countries. What are the similarities and what are the differences? Can you think of possible factors that may have contributed to these similarities and differences? What aspects of the culture contributed to the features of the yeast breads of that culture? Create a five-minute presentation that discusses three different examples of yeast breads, and how and why they differ. NCSS IV E Individual Development and Identity Examine the interaction of ethnic, national, or cultural influences in specific situations or events. 13. DonutDeal Bob recently began advertising his bakery in a local newspaper. The ad included a coupon for 25C off each donut purchased. On the first day of the new promotion, Bob sold 265 donuts, bringing in $238. However, Bob realized that his cashier was throwing away the coupons redeemed, and he does not know how many were used. If a regular donut sells for $0.95, and a discounted donut (with coupon) sells for $0.70, how many discounted donuts were sold? (¡^^ffl® Distributive Property of Multiplication Multiplying a sum (or a difference) by a number is the equivalent of multiplying each addend by that same number, and then adding the two products. For example, 7(4 + 2) is the same as (7 X 4) + (7 X 2). Starting Hint The problem can be solved with an algebraic equation. Let d stand for the number of discounted donuts sold. Then (265 - d) must equal the number of regular-price donuts sold. Multiply the price of each type of donut by the quantity of each type of donut to find total revenue: ($0.95)(265 - d) + ($0.70)(d) = $238. Solve for d.
NCTM Algebra Represent and analyze mathematical situations and structures using algebraic symbols. Directions Read the questions. Then, read the answer choices and choose the best possible answer for each. 14. What is the ideal temperature range for yeast fermentation? 15. What is a lean dough product often eaten at breakfast? 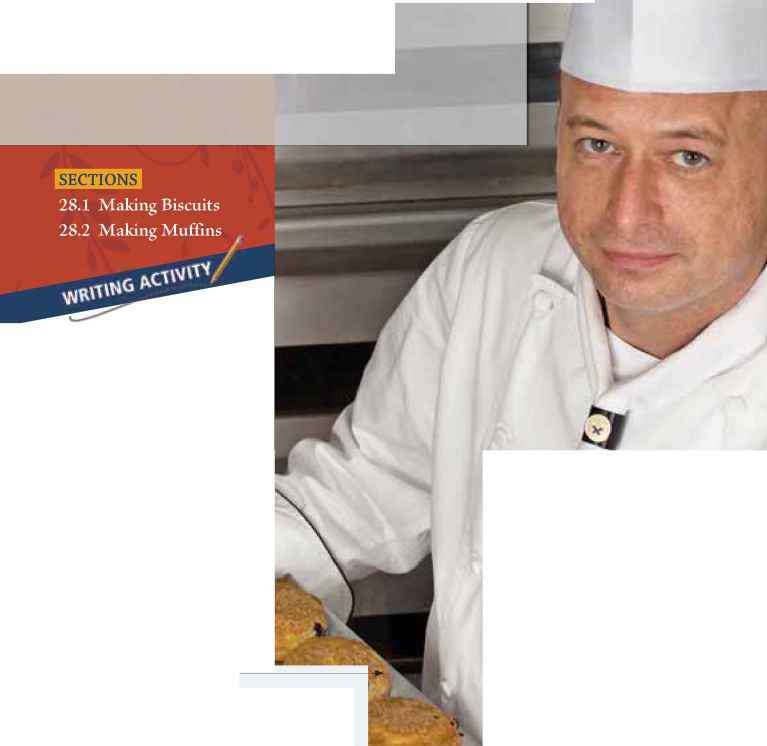 Sharpen your test-taking skills to improve your kitchen certification program score. Use familiar word parts, such as suffixes and prefixes, to help you remember new definitions. 16. Promote a Yeast Bread Follow your teacher's instructions to break into teams. Imagine that your team is an ad agency developing a print ad for a particular yeast bread product. Describe the product, its qualities, its nutritional benefit, and suggested uses in your ad. Use photographs or illustrations in your ad, if possible. Share your team's ad with the class. As a class, rate each ad's effectiveness. 17. Trim the Fat Your doctor has recommended that you lower your fat intake. Examine your yeast bread product consumption and recommend ways you can change the types of bread products you eat to lower your fat intake. Make a list of the substitutions. List specific ingredients in the products that may increase fat intake. 18. Internet Research With your teacher's permission, use the Internet to research one yeast bread product. Learn about the ingredients of that product and how it is made, as well as the texture, appearance, and flavor of the final product. Share your findings with the class through a five-minute oral presentation. Use slides, photographs, or illustrations with your presentation, if possible. 19. Purchase Yeast Samara bought 8 ounces of instant yeast for $3. She used about % of it before it had to be thrown away. Anita bought an 8-ounce bag of active dry yeast for $5 and was able to use it all because it kept longer. Compare each person's usage. Who made the more cost-effective choice? 20. Baking as a Team In this lab exercise, you will work in teams to prepare soft rolls. A. Examineyourformula. In teams, review theformula for soft rolls on page 720. Note the necessary ingredients and equipment. C. Observe the process. Make observations about the type ofyeast used, the optimal temperature for the yeast, the texture and feel of the dough, which mixing method was used, what bread-baking stages were followed, how the team tested for doneness, and what the characteristics of the end product were. D. Serve the rolls. Serve the rolls and have a contest to determine which team's soft rolls were the best. Evaluate each team's bread by creating a scoring sheet and giving each team a score in the following categories: Shape, Volume, Crumb, Crust, Color, Tenderness, and Taste. Rate each category on a scale of one to four. 1 = Poor; 2 = Fair; 3 = Good; and 4 = Great. ^^ Organize your comparison by subject or by features. ^^ Use appropriate transition words and phrases. Quick breads make a good breakfast choice, but can be served at any meal. Why do you think quick breads make a good breakfast choice? Biscuits and muffins are two different types of quick breads, but they have similarities as well. Write a compare and contrast paper that identifies what you believe are the similarities and differences between biscuits and muffins. ^^ Use a graphic organizer to map your ideas. What bread to eat if you are on a low fat diet italian,parkerhouse,or croissant?